I grew up in the 80’s and my earliest memories when I first started boxing when I was nine-years-old was Sugar Ray Leonard, Thomas Hearns, Marvin Hagler – that was a fantastic era. They were all great fighters but I think Leonard was my favorite. Born 1972, Hammersmith London Joseph William "Joe" Calzaghe, CBE, (born 23 March 1972) is a retired Welsh professional boxer. 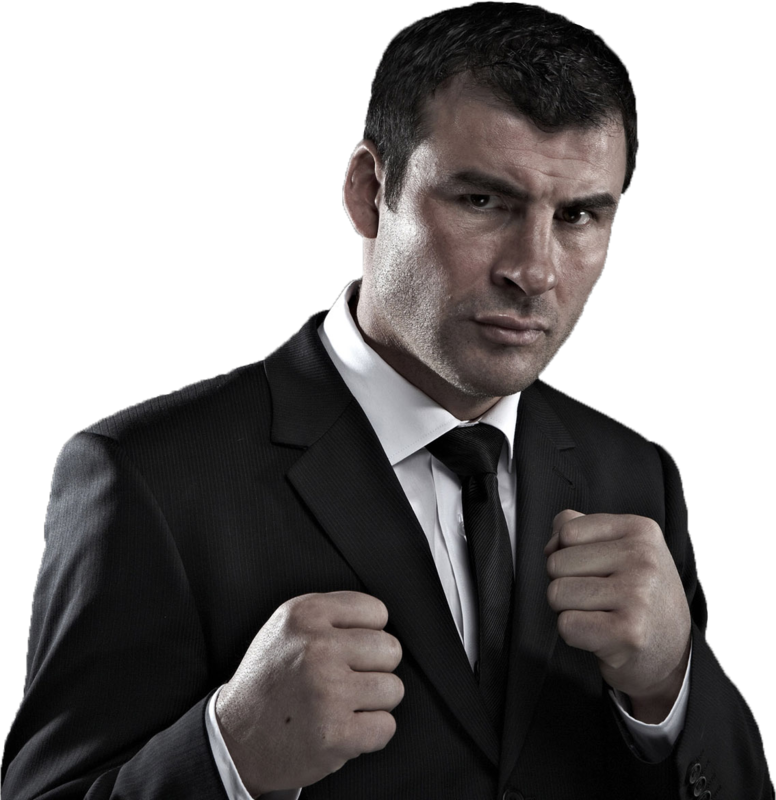 Calzaghe is sometimes referred to as the "Pride of Wales," or the "Italian Dragon"
He is a former WBO,IBF, WBC, WBA & The Ring Super Middleweight Champion and The Ring Light Heavyweight Champion. He retired in February 2009 with an undefeated record of 46-0 and as a reigning World Champion. By 1993 he had held Amateur Boxing Association (ABA) titles in three different weight categories, the first British boxer to do so. He also held titles from the National Association of Boys Clubs (NABC) and the Gaelic Games. As an amateur boxer, Calzaghe maintained an impressive record of 110 wins out of 120 fights. In September 1993 Calzaghe made his professional debut at Cardiff Arms Park. By June 1995, Calzaghe had won nine out of nine fights, seven in the first round and two in the second. At the end of 1995 Calzaghe was voted Young Boxer of the Year by the Professional Boxing Association and the Boxing Writers Club and he had won the British title, stopping Steve Wilson in the eighth round. Joe then went on to win his next 13 fights before he got a shot at the WBO super-middleweight title. A fight against the recently deposed titleholder and British boxing legend Chris Eubank was set up for the vacant WBO title on the 11th October 1997, in Sheffield. Calzaghe emerged victorious over the two-time WBO champion. Notable wins included This was followed by notable victories over Robin Reid, Charles Brewer, Mario Veit (twice) and Evans Ashira. His scheduled bout with IBF world champion Jeff Lacy for 5th November 2005 was initially cancelled due to the break sustained to the metacarpal in his left hand. It was rescheduled for the 5th March 2006, where Jeff Lacy was beaten by a unanimous points decision. Calzaghe met Peter Manfredo Jr. in front of 35,000 fans in Cardiff, Wales. Calzaghe was victorious on a third-round stoppage, unifying the super middleweight division. Cardiff’s Millennium Stadium on November 4th 2007 was home to a unification bout for the WBO / WBA super / WBC / Ring Magazine super-middleweight titles. Calzaghe won by unanimous decision, surpassing the 20 defenses made by Bernard Hopkins and Larry Holmes at middleweight and heavyweight respectively. On 19th April 2008 at the Thomas & Mack Center in Las Vegas, Nevada, Calzaghe defeated Bernard Hopkins and won the Ring light heavyweight championship by a split decision in his first ever fight in the United States. Next was Roy Jones Jr for The Ring Light Heavyweight Championship in New York City at Madison Square Garden. In the 8th Jones sustained a cut over an eye, nearly forcing a stoppage. All three judges' decisions were 118–109 for Calzaghe. On 5 February 2009, Joe Calzaghe announced his retirement from professional boxing, finishing with a record of 46–0 and becoming only the tenth World Champion boxer, after Rocky Marciano, Ji-won Kim, Terry Marsh, Pichit Sitbangprachan, Harry Simon, Ricardo Lopez, Michael Loewe, Sven Ottke and Dmitry Pirog, to retire as an undefeated World Champion. Calzaghe was the first person to be awarded the Freedom of Caerphilly, his home county, in 2009. The award was presented to Calzaghe in front of his family — father and trainer Enzo, mother Jackie, sister Sonia, (then) girlfriend Jo-Emma Larvin, and his two sons. Other awards include an MBE, later a CBE, BBC Sports Personality of the Year (2007) and in 2014 Joe entered the Boxing Hall of Fame alongside Oscar de la Hoya and Fenix Trinidad.